If you have read this blog of mine, you know that fall is my favorite time of year. Apple picking, college football, cool days, cooler nights and of course awesome hiking make every day truly magnificent. 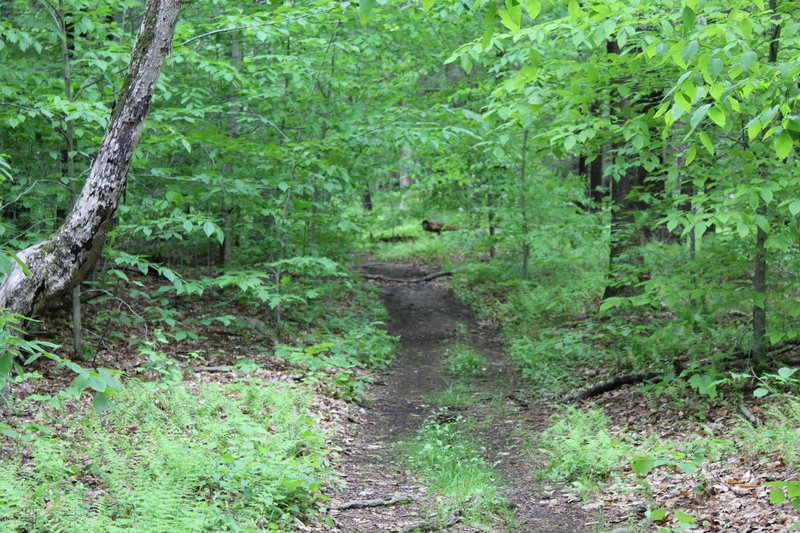 Today I was back hiking the Labyrinth at Ward Pound Ridge. As I was in sight of the finish, I felt good and decided to make the left turn onto the Yellow Trail to add some mileage. Making my way up the trail. I pulled out the map and saw that the RT Trail would soon take me off of the Yellow trail and then put me on the Red Trail for literally a couple of hundred feet. Heading up a small hill, it then finished on the Green Trail. My trusty pack and poles leaning on my favorite resting rock at 2.5 miles. The view directly behind the rock where I take a break just before the Green trail veers off to the left. The trail about one mile from the finish. Some of the more interesting rock formations along the trail. More of the Red Trail. From this point on I will be listing my mileage as an accumulation for the entire calendar year. Taking the information from my blog as well as my GPS, I have calculated that prior to the first hike of the summer I had hiked 45.2 miles. I am adding that to the 181.22 that I did for the summer, giving me a total of 226.42 miles. With the addition of the 7.7 miles that I hiked today, that brings my total for the year to 234.12 miles. This entry was posted in Uncategorized and tagged autumn, Autumn Hiking, Colin Fletcher, colin fletcher quotes, edwin way teale, escape, green trail, Hike, Hiking, hiking quotes, Hudson Valley Hikes, Hudson Valley Hiking, Inner Peace, peace, red trail, RT Trail, the labyrinth, ward pound ridge reservation, westchester county ny, yellow trail on September 23, 2017 by The Zen Hiker. What an accomplishment. I think I’m only up to about 40 miles this year but the fall has arrived and it’s time to get back out there. I find that I hike the most during the spring and the fall. I can’t wait to get back out there and push my miles closer to 100 this year. Thanks for the update! Thanks very much for the comments! As a teacher, I am lucky to have the summers off so this year I made the committment that I woud get out as often as I could. I don’t do so well in heat so I knew that I would be hiking at just around sunrise most days. This ended up being perfect. I am still trying to get out on short breaks and hopefully the weekends but with the start of my daughters hockey season it is going to get tougher. The withdrawal from hiking is painful!!!!! Thanks again!